Turmeric (Curcuma longa), a member of the ginger family, is considered to be one of the most beneficial herbs in Ayurvedic medicine. Used medicinally for over 5000 years for its anti-inflammatory properties and cardiovascular and digestive health benefits. Turmeric has been shown to reduce inflammation and improve healing of bruises, cuts, inflamed joints. Supplemented for its ability to improve digestion and its very powerful anti-inflammatory properties. Research shows that daily turmeric supplementation may help reduce menstrual cramps, bloating, and inflammation in women. Used in Ayurvedic medicine for thousands of years and is widely considered to be the most important herb because of its potent antioxidant properties which can heal many human health ailments. Most widely studied herb in materia media. Used in traditional and alternative medicine for over 5000 years. The most clinical benefit of Turmeric is its very powerful anti-inflammatory effects. As a result may help heal many health aliments such as acne, stomach issues, bloating, joint pain, and other aliments contributed to inflammation. 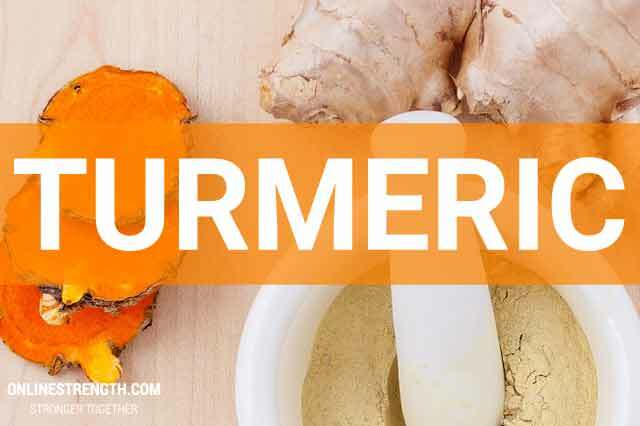 Onlinestrength analyzed 10 best-selling Turmeric Supplements in the United States, measuring levels of the key active ingredient curcuminoids, which include: curcumin (diferuloylmethan), demethoxycurcumin, bisdemethoxycurcumin, and cyclocurcumin. All Turmeric products passed ingredient quality purity tests, products that contained organic sources of turmeric were rated higher for their superior quality. Turmeric is “Generally Recognized as Safe” (GRAS) by the Food and Drug Administration (FDA) in the USA and is well tolerated by most people. Products that contained any fillers or preservatives were penalized. Standard dosages: 500 mg – 8,000 mg of powdered turmeric daily. According to clinical research, 250 mg – 2,500 mg range is best for turmerics powerful anti-inflammatory benefits. For digestive repair and benefits, research shows that for 2000 mg – 4000 mg daily is best.